Vodafone Fiji national coach Christophe Gamel says they are targeting the 2026 qualification in the FIFA World Cup. Gamel said Fiji FA president Rajesh Patel, national team director Tarunesh Reddy and chief executive officer Mohammed Yusuf and the Fiji FA Board were behind him. “They are supporting me and that what I am happy,” Gamel said. He said he had seen a lot of potential in Fijian players and that was why he took up the challenge to be here. Gamel said only thing he needed was the dedication and passion from the players. 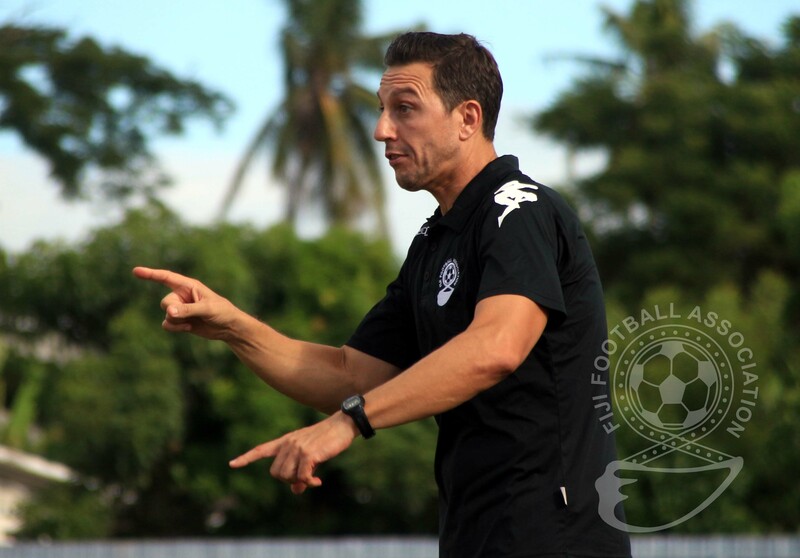 He said Fiji FA was working well with the grassroots development and that what was needed to develop football in this country. He said he did not know how long he would be with Fiji Football but he would dedicate that to this beautiful country.” I will do my best”. Gamel said the players need discipline and organisation in every level of football. “We have to start everything from the grassroots development and every age group teams.”Gamel said. The Frenchman believes in future there would some disappointing results and he does not care about the result. He said he would be working some new technics with the team which would take some to adjust to it. He said people should stop crticising and support the football in the country. The Vodafone Fiji will play New Caledonia in their final matches of OFC Stage 3 at Churchill Park in Lautoka, Fiji, on 7 June and at Stade Numa Daly in Noumea, New Caledonia, on 11 June.